At year-end, you are looking at your work colleagues around the conference table, and you ask: "How did we not make more money this year? " You remember coming in to work almost 300 days in the past year. You billed a ton of hours. You saw your colleagues do the same. At the water cooler, you overhear members of the staff bragging about how many days in a row that they have worked late. As all of this swirls around in your mind, you think? "How is it possible that we made less money this year than last? " How are you going to explain to your family that you need to delay the family vacation until next year even though you barely got to see them because you worked an average of 60 hours each week? The Bad news: You are here. It is miserable. The Good news: You are not alone, and you can avoid this situation moving forward with better planning and greater confidence in and understanding of your financial reports. To adequately address this issue, you need to dig in and find the value in your firm's financial reports and squeeze profits from your financial processes. Financial reports are informative and can be beautiful. They relay instant truths about your firm. Your financial reports should include key indicators that give you great insight into your firm's current and future performance. A few examples of key indicators from your financial reports include aged accounts receivable, funds in trust account, total monthly billings, effective hourly rate, and billed hours per attorney. By reviewing key indicators from your financial reports on a monthly basis, you can take contemporaneous steps to track and improve your firm's financial performance. When looking to boost your firm's financial performance, you have one of three options: increase the money coming in ("revenue"), reduce the money going out ("expenses"), or some combination of both. An example of a particular financial report that can help you analyze these three options is an income statement trend report ("Trend Report"). A Trend Report compares a detailed income statement between different time periods, typically twelve or thirteen months. You can use a Trend Report to identify where revenues or expenses are growing, declining, or remaining constant. You can develop expectations of where the trends should be heading and compare to the actual results. For example, you expect monthly revenue to grow between $20,000 and $25,000 over the past two months because your firm added a new partner three months ago. Using a Trend Report, you can compare your expectation to the actual trend. If your expectation diverges from the actual trend, you need to investigate the discrepancy and modify your expectations or rectify any potential problems. This analysis helps you to constantly adjust and correct your financial course based on the most recent information available. You need to ensure that your financial reports are properly prepared and accurate before you can confidently rely on them. Well-developed financial processes ensure that this happens. Having accurate and consistently coded accounting transactions allows you, as the reader of those financial reports, to effectively understand them. Without this accuracy and consistency, you lose the ability to analyze trends. Consistent financial processes that produce timely, comparable financial reports allow you and your firm to make decisions in reaction to the ever-evolving business climate. When you identify trends, you want the ability to capitalize on positive trends or to take corrective actions to reverse and minimize negative trends. Having clearly defined and well-developed financial processes helps your firm compile accurate and timely financial reports that allow you to react to any trend in real time. Knowledge is power. Obtaining accurate and thorough financial reports in a timely fashion provides you with the necessary knowledge that you can use to have a positive impact on your firm's financial performance. This knowledge enables you to correct problems or exploit opportunities quickly. By improving your financial lot, you can take that family vacation (be careful what you wish for)! 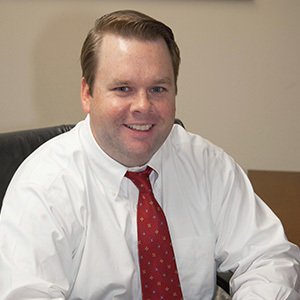 Mr. Boyle is the Founder and President of Boyle CPA, PLLC. Boyle CPA provides accounting and consulting services to small and mid-sized businesses with a focus on law firms. In the interests of full disclosure, Boyle CPA is willing and able to provide you with the services described in this article. Nevertheless, Mr. Boyle recommends that you take his advice irrespective of whether you use Boyle CPA or some other method. Visit www.boyle-cpa.com for more information.